If you find yourself unable to pay off your debts, then debt relief or bankruptcy could be your last 2 options. 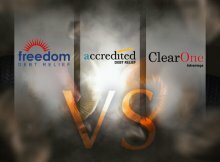 Deciding which of these is best for you can be tricky, and it’s a task made even more difficult by the fact that some debt relief organizations spread misinformation about bankruptcy, and vice-versa. This guide explores different types of debt relief and bankruptcy and the pros and cons of each. Before making any decision, book a meeting with a credit counselor. Most good credit counseling services are free and are offered in-person or over the phone. Your credit counselor should talk you over the various options: debt consolidation and debt management are popular options; only if circumstances make these impossible should debt settlement or bankruptcy come into play. Budgeting is something to think about even before speaking to a counselor. If you’re struggling to pay back your debts, the first thing to do is cut back on all but essential spending. Making a budget can seem overwhelming, but it can really make a big difference to your bottom line. There are plenty of free resources on the internet to help you learn how to make a budget. One place to start is by examining your expenses from the past 3 months and putting a line through those that are not essential. Some people are shocked when they find out how much they spend on things they don’t really need. Debt relief is a broad term used to describe different ways of rearranging one’s debt. In general, the term covers debt management, debt consolidation, and debt settlement. 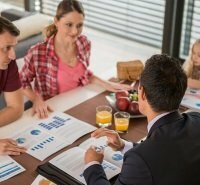 Transferring debts from multiple lenders to a new lender and paying off the amount to the new lender in a single loan with a lower interest rate and lower monthly payments. This is effectively a personal loan, and therefore all the necessary qualifying requirements, such as credit score, apply. Negotiating new payment terms and conditions with your creditors. Through negotiation, your creditor might agree to a lower interest rate or to extend the life of the loan in order to reduce your monthly payments. When a creditor agrees to accept a portion of the outstanding debt instead of the full amount. This is usually only an option if the loan is unsecured (i.e. the borrower hasn’t put up any assets as collateral) and if the creditor is convinced the borrower won’t be able to pay in full. In certain circumstances, a creditor may consider it more practical to accept a partial repayment rather than go through the lengthy process of suing for an amount the debtor is clearly not capable of paying. The pros and cons of debt relief depend on what type of debt relief you’re dealing with. Debt consolidation offers the benefit of only having to deal with a single monthly payment. If done right, it can also save a person money in the long term through lower interest rates and monthly payments. Debt management or negotiation can enable a person to lower their monthly rates or payment, which again leads to overall savings. Debt settlement is also a money saver: if a person can get their creditor to agree to accept only a portion of the full amount, it means they save money and can begin the hard work of improving their financial situation. Each type of debt relief will have some sort of impact on a person’s credit score, but the most damaging is certainly debt settlement. Not paying the full amount on a debt is an option that can save a person money in the short term, but it will also damage a person’s credit score and make it harder for them to borrow in the future. A debt settlement remains on a person’s credit report for a full 7 years, so it should really only be considered after all other options have been ruled out. For all types of debt relief, read into the fine print as additional fees and penalties may apply. Debt settlement companies often encourage customers to stop paying their creditors while a settlement is being negotiated. However, what they won’t always tell you is that late fees, interest and other penalties associated with these non-payments could be added to the final amount owed. 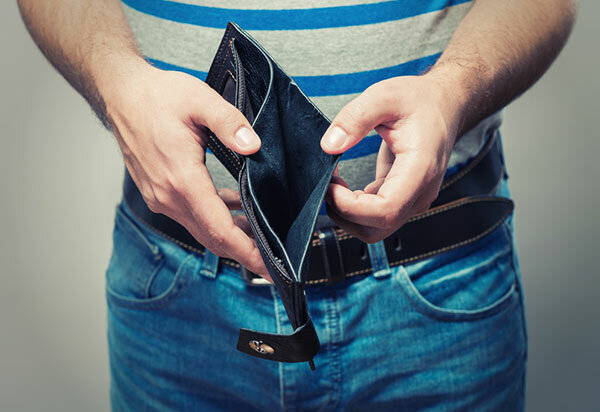 There are 2 types of bankruptcy for individuals: Chapter 7 and Chapter 13. For people with few or no assets, this allows them to dispose of unsecured debts, such as credit cards. People with non-exempt assets such as cash, stocks, bonds, second homes and vehicles, and high-value collections (such as coins or stamps) must liquidate these assets to repay some or all of their unsecured debts. People with only exempts assets, such as a personal vehicle or household goods, are not obligated to repay any of their unsecured debt. For people who have too much money or assets to qualify for Chapter 7 bankruptcy. It allows people to restructure their debt payments to make them more manageable or to get rid of a part of the debt to make it more manageable. In the case of Chapter 7, it frees a person from some or all of their debts. In the case of Chapter 13, it allows a person to reorganize their debts into a cheaper, manageable, single monthly payment. It bars collection agencies from making harassing phone calls. Under law, certain assets may not be seized during Chapter 7 bankruptcy. Homes, clothing, jewelry, and certain other personal belongings are among the assets exempt from seizure. It can remain on a person’s credit report for up to 10 years, making it very difficult to borrow. The bankrupt person will lose non-exempt properties, such as secondary homes and investment properties. It makes it almost impossible for the bankrupt person to secure a new mortgage or to refinance an existing mortgage. The person will still be obligated to pay certain non-exempt debts, such as student loan debt. The person will have to explain themselves to a judge or trustee. A person may only file for Chapter 7 bankruptcy once every 6 years. Therefore, this should only be considered as a last resort. The various forms of debt relief and bankruptcy can free a person of their debts or lower the cost of paying back their debts. However, these options are last resorts, and the only way to decide which option is best is to look at the full picture. 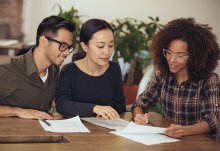 This means calculating the overall cost of debt relief or bankruptcy, what it will mean for your credit score, and understanding the legal obligations. For more information, see these reviews of the leading debt consolidation companies.